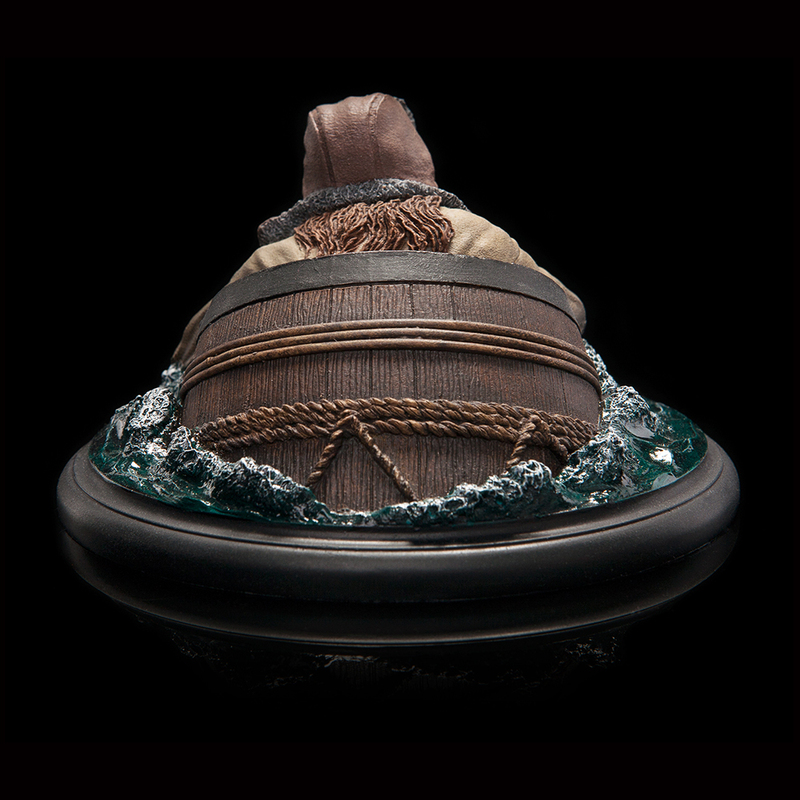 Earn 3.25 Weta Dollars! What's this? 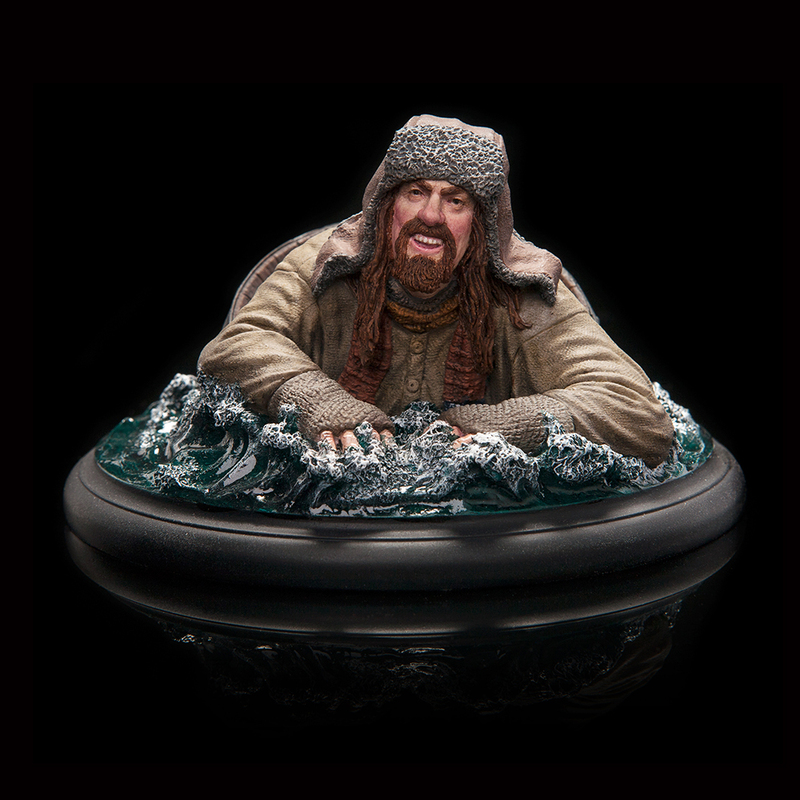 When the Dwarves of the Company of Thorin Oakenshield are captured and imprisoned by King Thranduil, Bilbo Baggins must conceive a bold plan to secure his friends’ freedom. 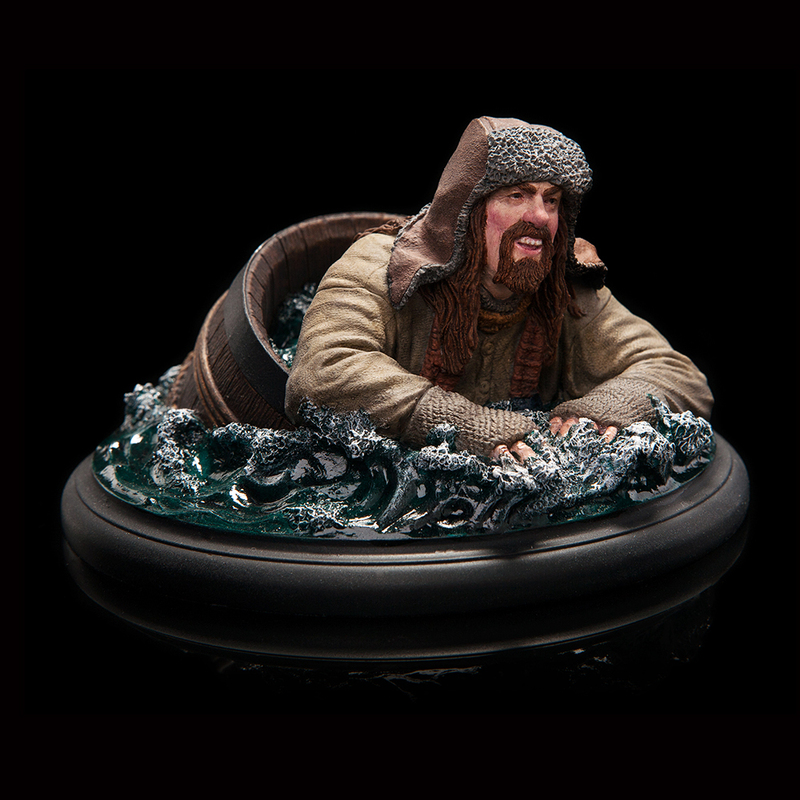 Stealing keys and leading his friends to the Elven King’s cellar, the hobbit bundles his companions into empty barrels and sends them careening to freedom down an underground river. 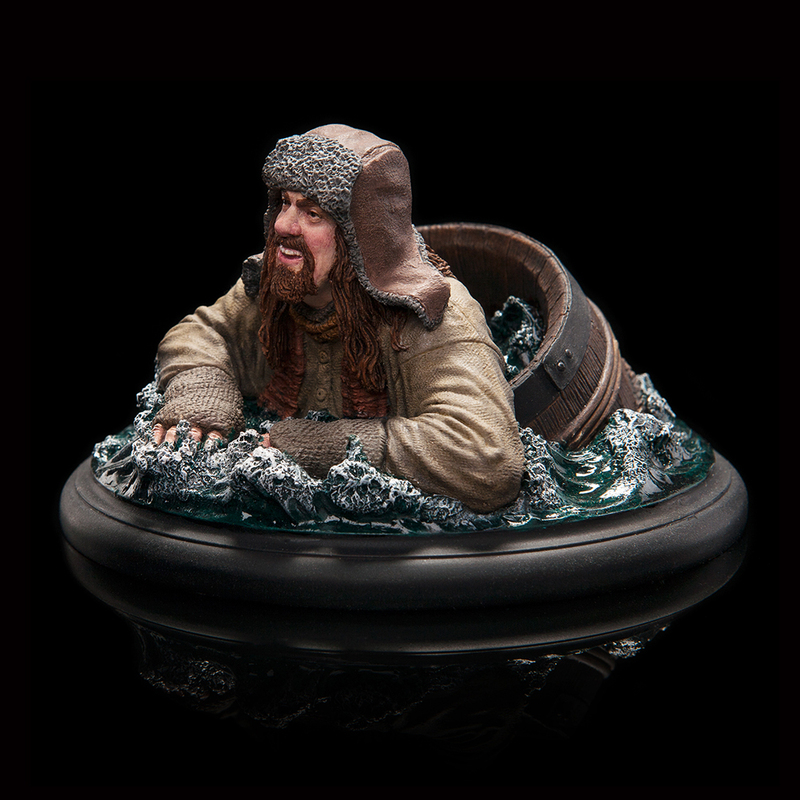 As guards rush to prevent their escape, Bilbo leaps bravely after them, into the black waters and the new dangers to which it will sweep them all. 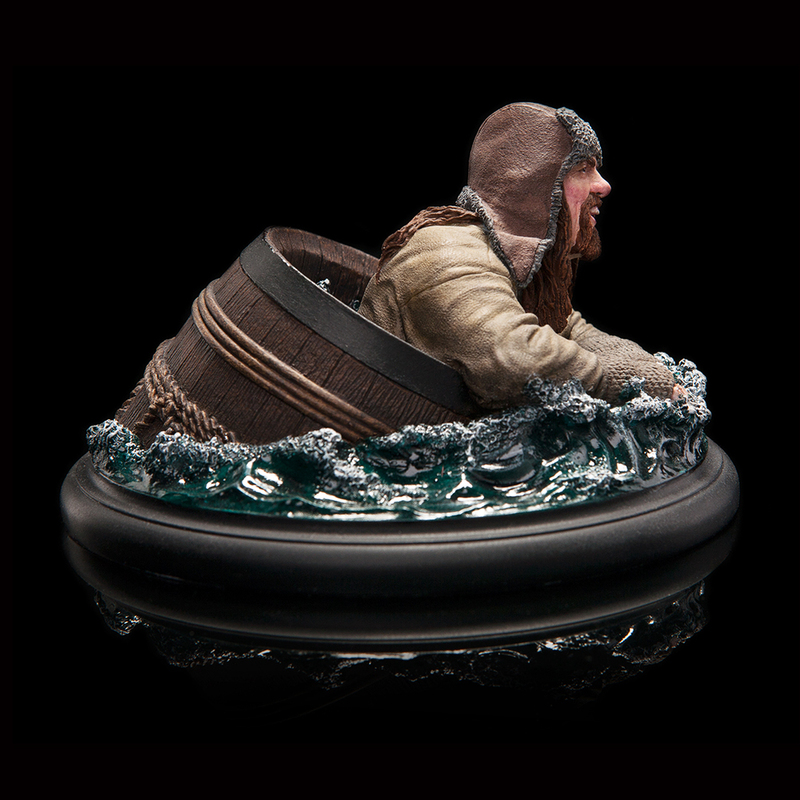 Released in the lead-up to the opening of The Hobbit: The Desolation of Smaug, our Barrel Rider collectibles are scaled to match the exclusive The Desolation of Smaug Collector's Edition DVD statue featuring Thorin, Kili and Bilbo. 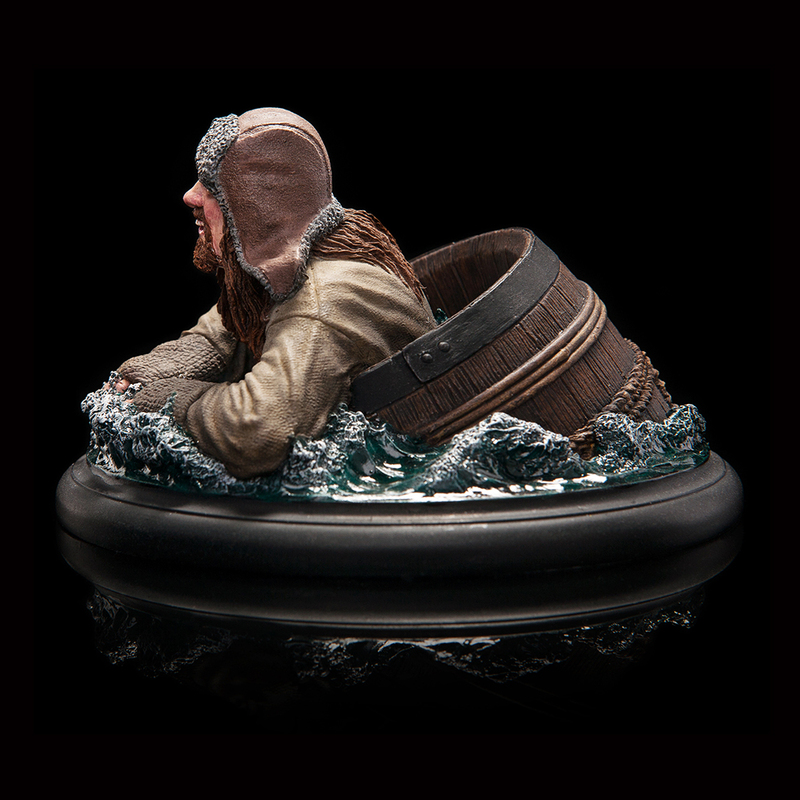 Bofur the Dwarf Barrel Rider is an Open Edition piece.